Ok, a catching up post. 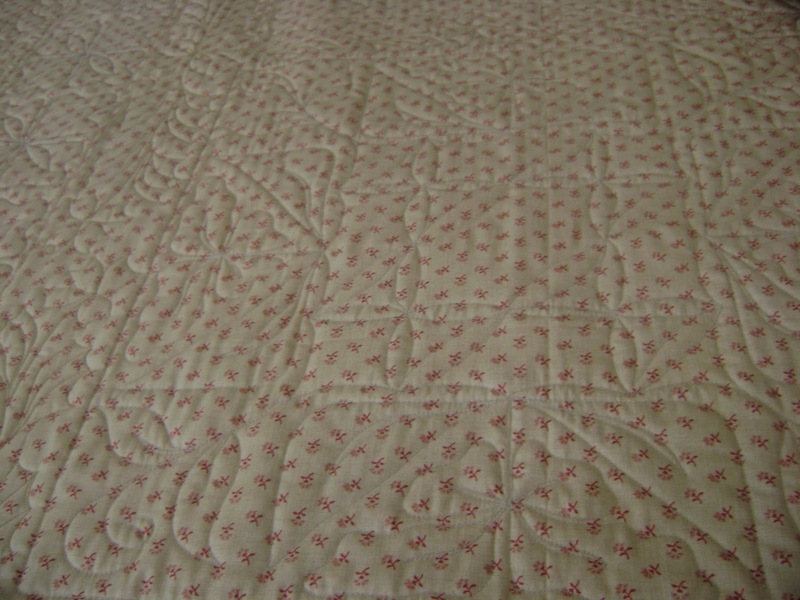 I did finish the quilt that was on the machine. I’ll show you photos in a moment. I started my online portrait class and I LOVE it! 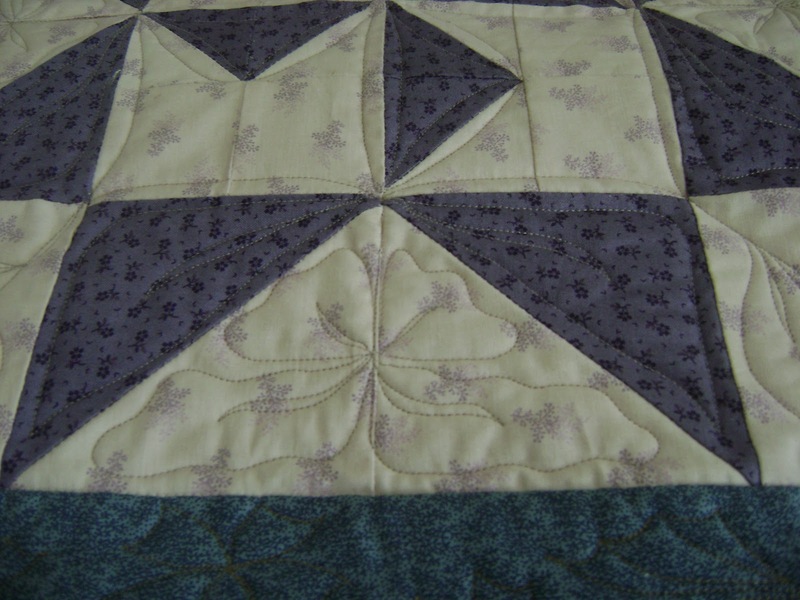 I’m finally learning how to create the patterns to do portrait quilts. I had doubts about whether I could learn it or not. I do learn…. it’s the retaining the information in my head that worried me. Margaret is a very patient teacher and easy to learn from. I no longer have any doubts about retaining the information. I still have a lingering cough from the flu. I’m allergic to the flu shots so when I get the flu it lasts longer for me. I’ve gone through a couple of bags of cough drops already. Thursday my mother had a nasty fall out of her wheel chair again. She got another bad gash on her forehead and had to be stitched up again. She falls asleep in the chair and leans forward in her sleep until she falls out. I suggested they start using a front opening harness that will keep her in the chair but is easily opened if she needs to use the bathroom. Legally the nursing home can’t use a chair harness unless the patient can open it themself for bathroom breaks or getting into bed. The patient has to agree to use the harness and my mother doesn’t agree. 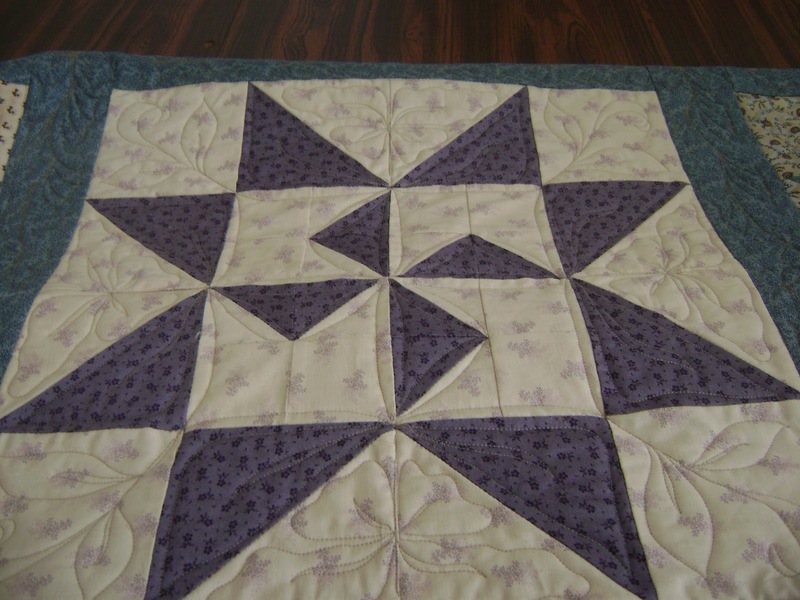 Ok, here’s the quilt I just finished. 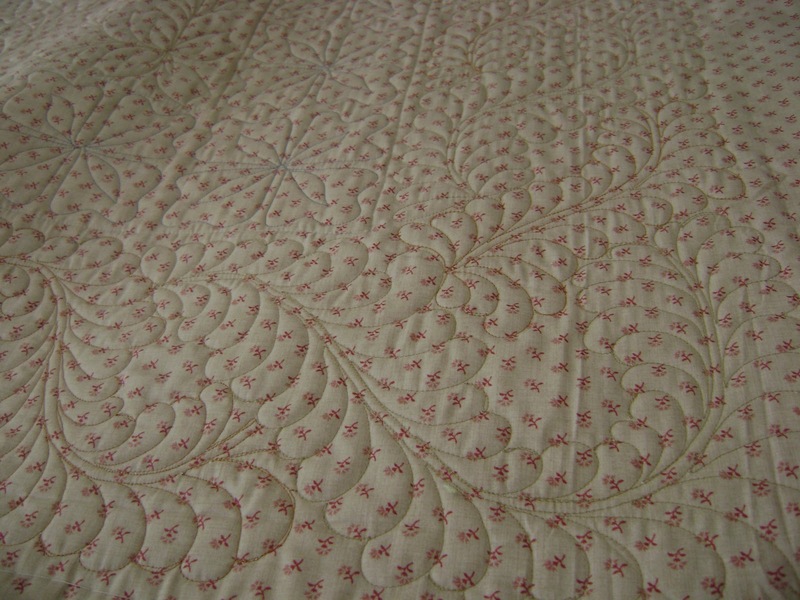 You’ve already seen some photos I took while quilting it. This is the top laying on the intake table. 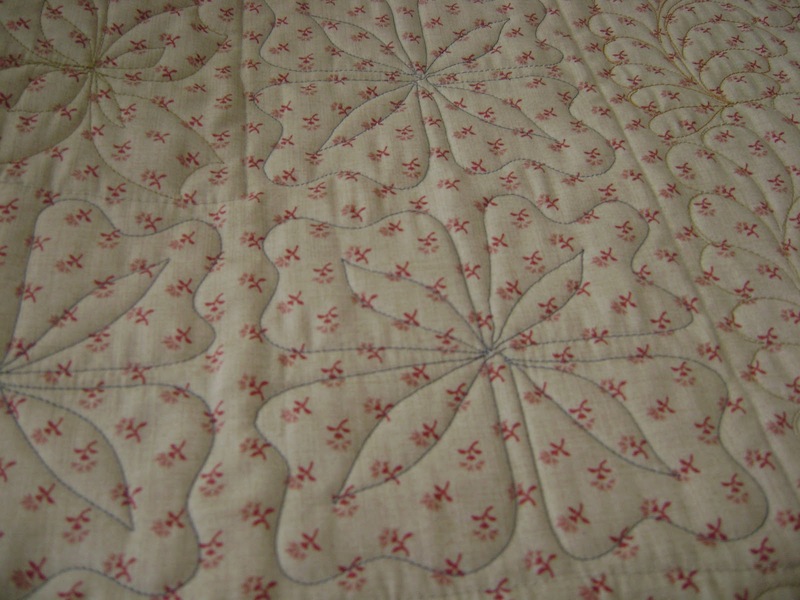 On the inside border I did a flower design in each 4 part section. On the inside blocks the centers were all different but the outside of the blocks remained the same. I did line dancing on the centers. 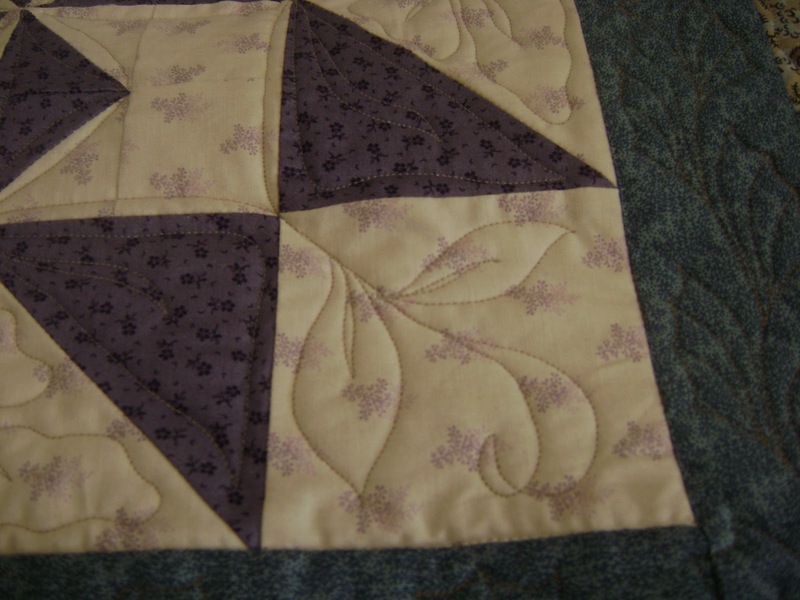 I did a flower and leaf design on the outside of the block. This is the flower and leaves in the triangles. This is the leaf design on the corners. 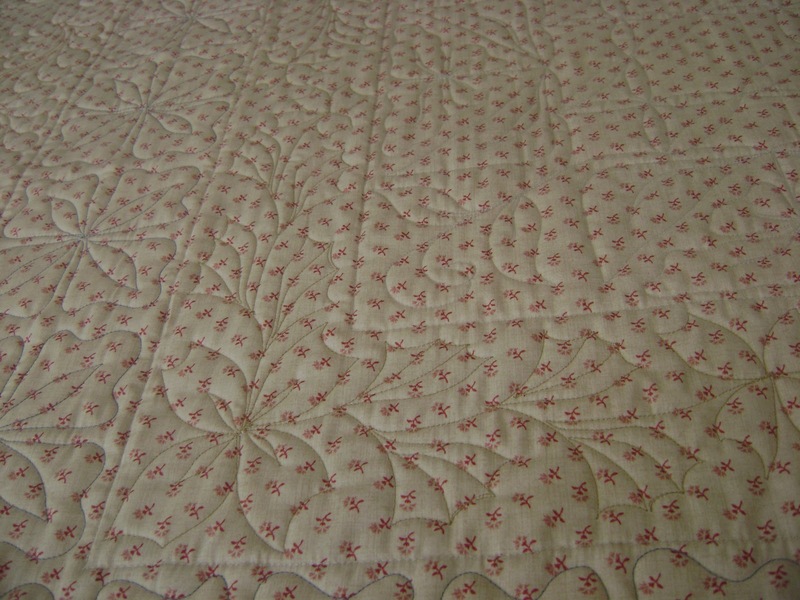 Here is the inside (pieced) border with the flowers from the back. A look at the outside border with the weaving feathers from the back. Another look at the outside border next to the inside border. The weaving feather changes colors as it weaves. It’s a very subtle change between the two colors. This is the sashing and corner stones from the back. A look at the blocks from the back. The next few days are going to be quite busy for me. (So what else is new?) I have a lot of work to catch up on now that I’m feeling better. Right now I have homework to complete so I can turn it in today. 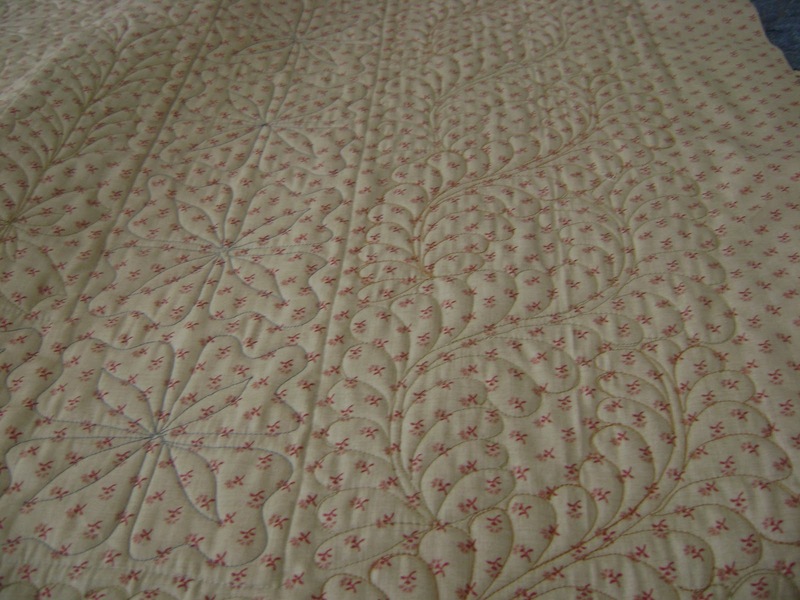 Later I plan to load the next quilt and start stabilizing it. 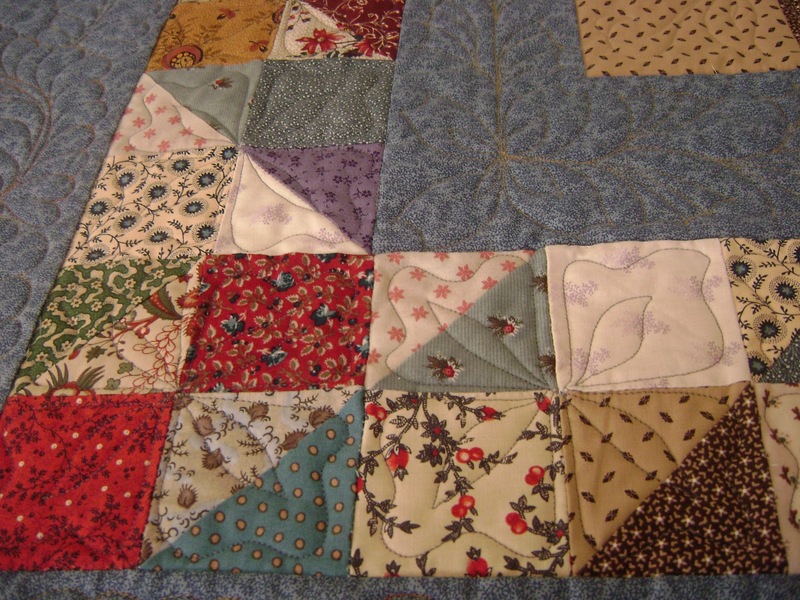 I need to work on cutting apart more of the clothing for the two memory quilts I’m making. My house needs a good cleaning and I should make more chicken soup for the freezer. I don’t like not having it ready just in case I get sick again. I’ve already been exposed to another winter time sickness which is a 3 day virus. Geeze! Why can’t people stay away from me when they are sick? Ok, it was Ladybug around me while she was sick. She was exposed to it at daycare. I love her anyway. STILL ALWAYS gotta LOVE that LADYBUG. yeah. KIDS. GOOD thoughts. make more soup. for ALL of you. 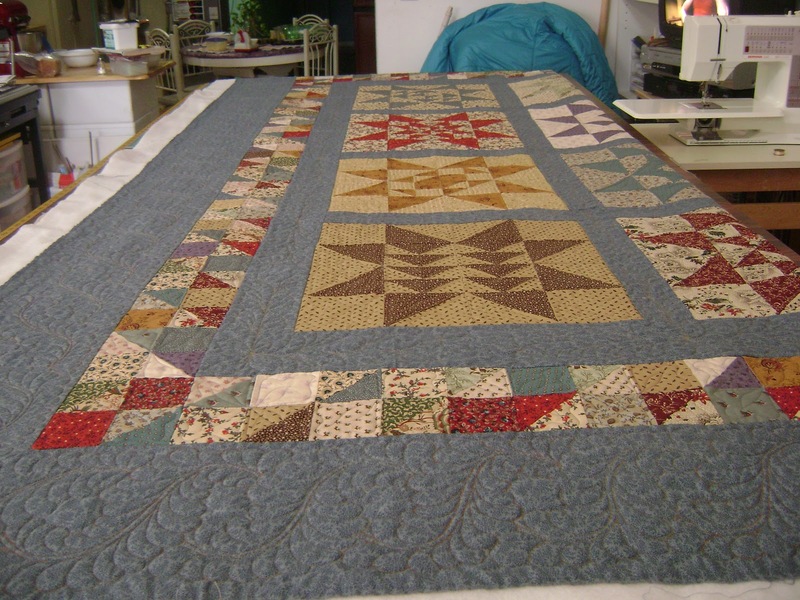 This entry was posted on February 20, 2011 by Anita in Customer quilts 2011.